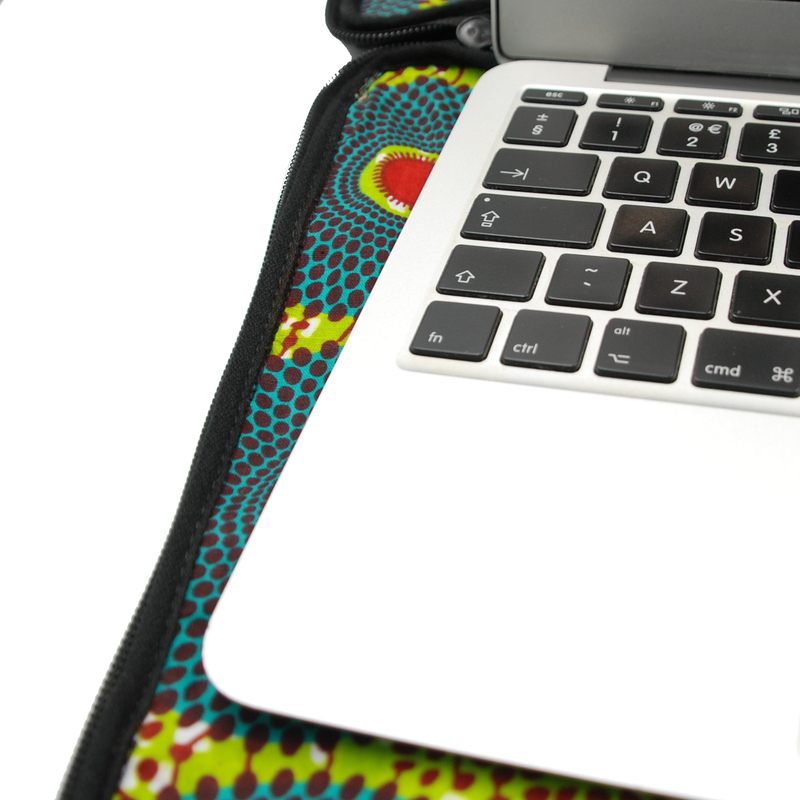 These super tough cases will provide invaluable protection for your laptop or tablet, they’ll make a great talking point in the office or at college too! 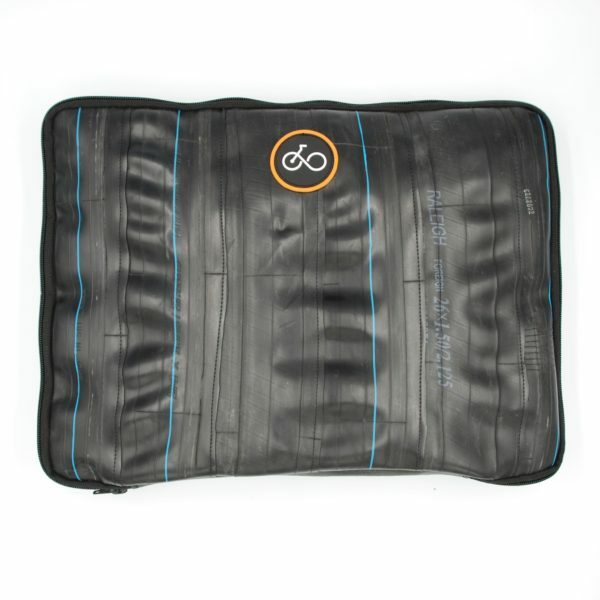 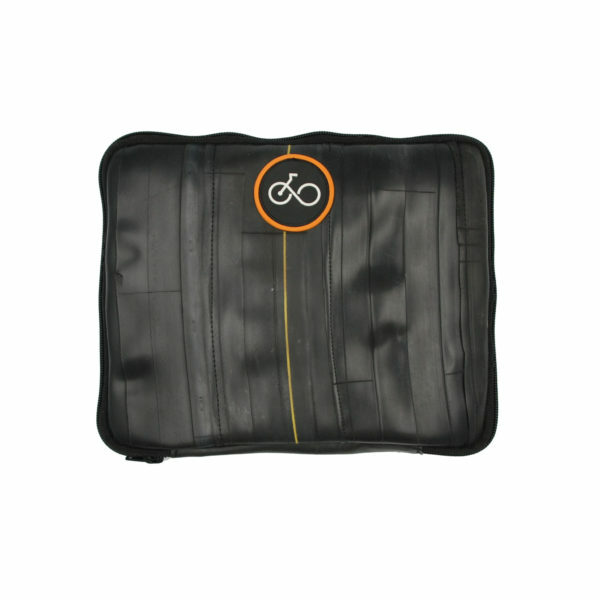 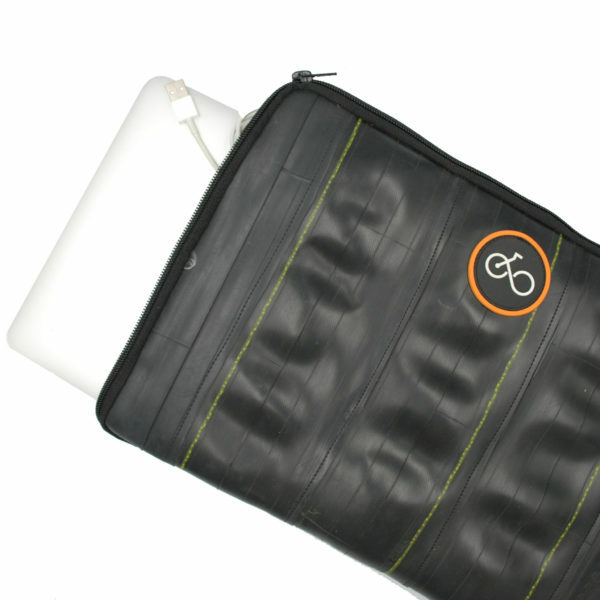 Made from recycled inner tubes, saved from UK landfill, which is a perfect material to prevent knocks and bumps from causing damage to the contents. 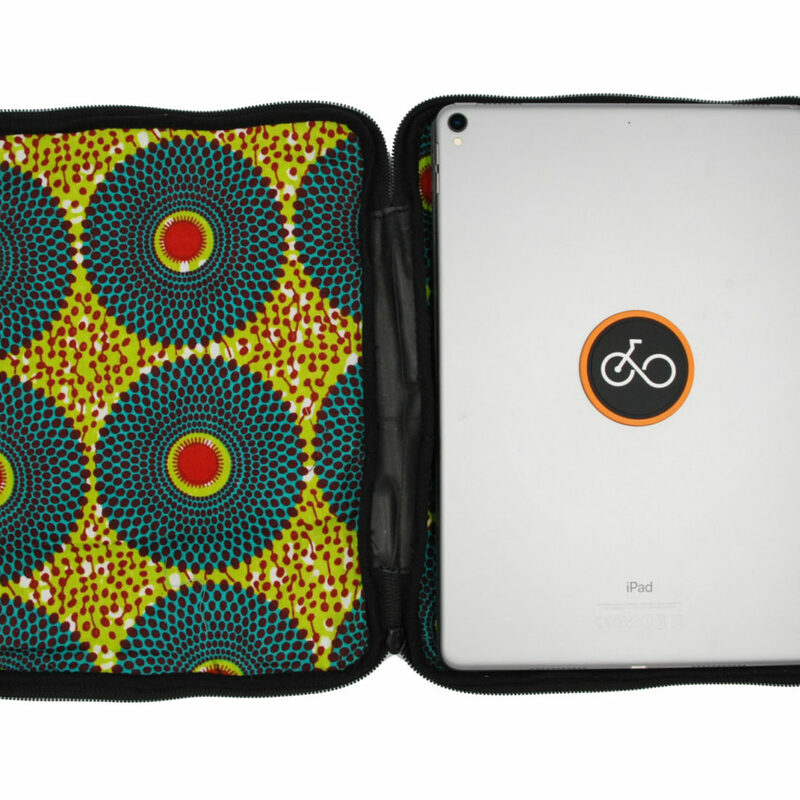 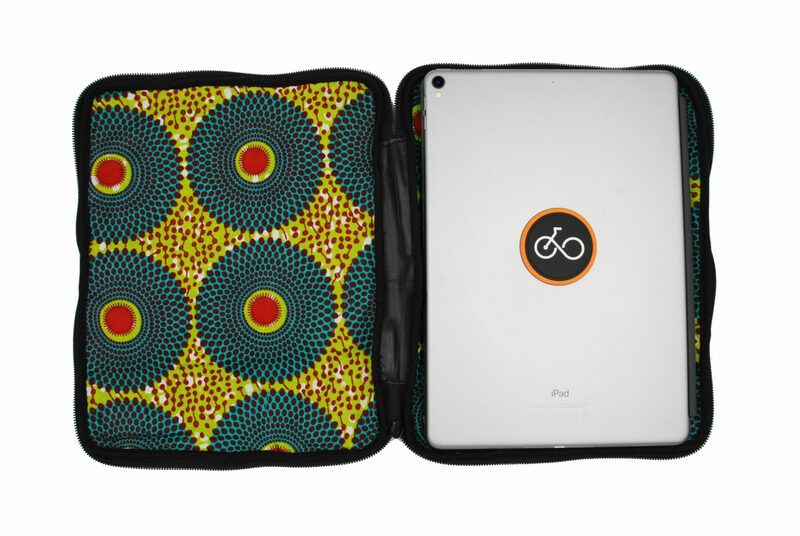 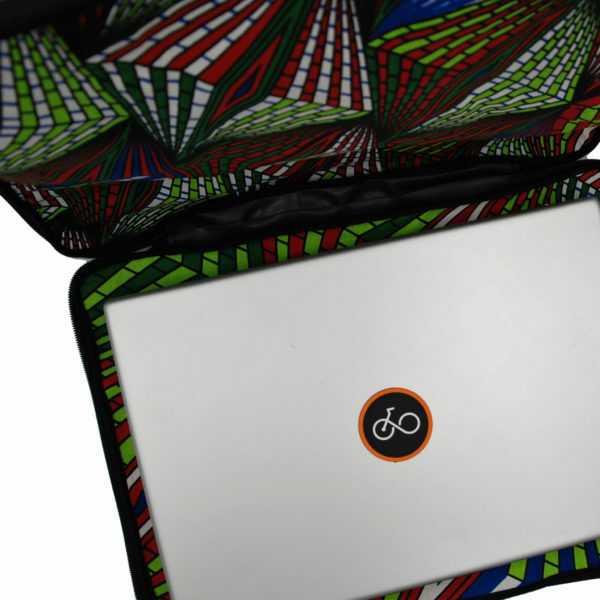 The cases are fully lined with traditional wax print cotton known as Chitenge (linings may vary from the image shown) and handcrafted by trained tailors in Malawi. 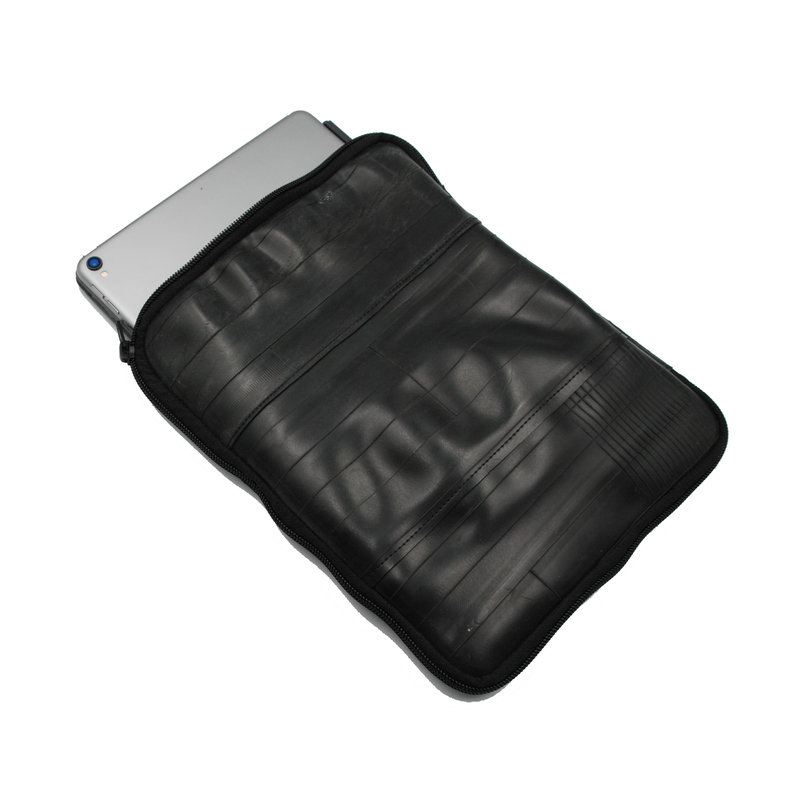 There’s a robust zip to three sides for ease of access. 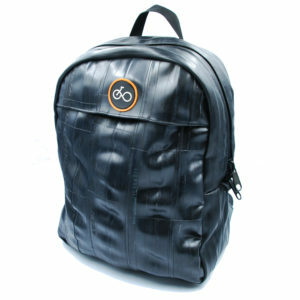 Each is finished with the Cycle of Good patch logo to the front. Shower proof to protect from splashes and rain. 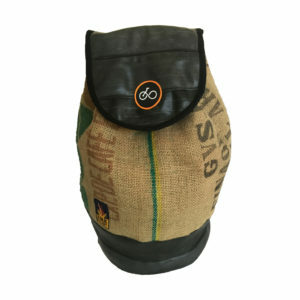 The nature of this recycled material means there will be blemishes and variations, so your coffee duffel may vary from the image shown. Who knows you may even be lucky enough to get an old puncture repair patch!